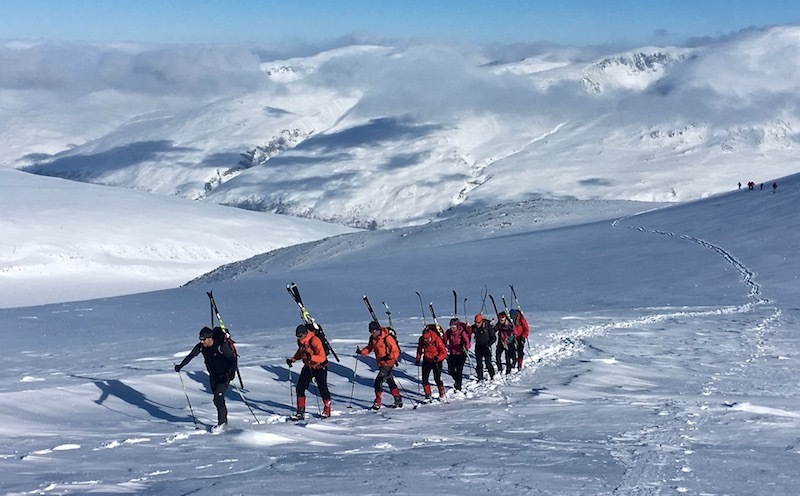 In March 2018, 13 instructors from Army Training Regiment Winchester embarked on an ambitious ski touring ambitious expedition to Norway. 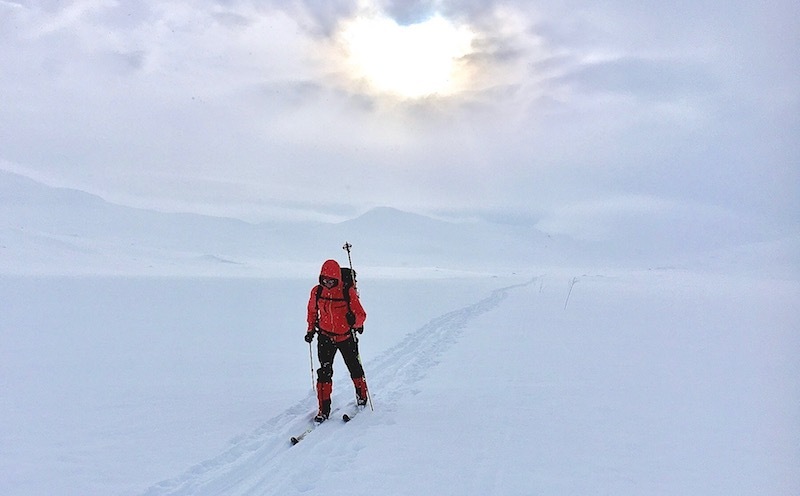 The team aimed to ski across the Hardangervidda before heading into the Jotunheimen mountain range for a final challenge, summiting the highest mountain in Northern Europe. Adventurous Training in the Army is about developing leadership, teamwork, physical fitness and moral courage – this ticked every box. It was a demanding expedition that tested each participant. Almost half the team had never worn skis before 2018. And yet, within a few months, were breaking trail in knee deep snow across steep terrain in an unforgiving environment. Norway can be both beautiful and intolerant in equal measures. In a country of five million people, their passion for the outdoors and nature is at the very core of their existence. 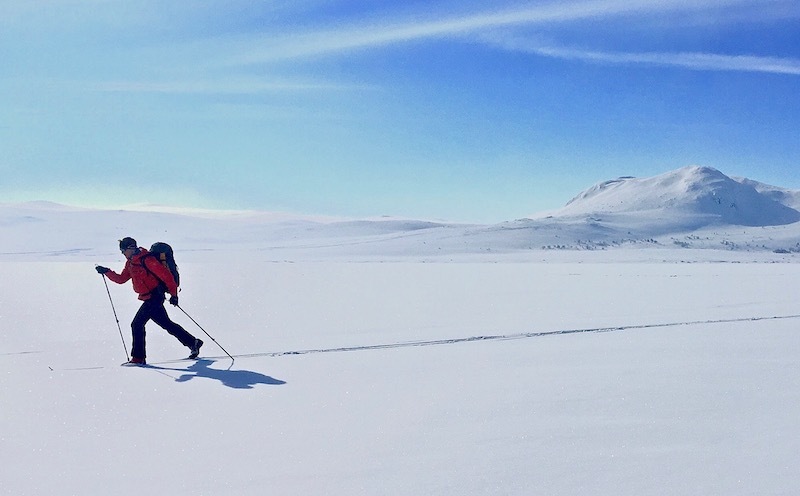 From great polar explorers such as Fridtjof Nansen and Roald Amundsen to modern day Olympic legends such as Marit Bjørgen and Ole Einar Bjørndalen, Norway and skiing go hand in hand. Where better for a team of British amateurs to test our resolve than on one of the largest and coldest plateaux in Europe, Hardangervidda. The logistics were taking shape over a year before we departed for Oslo. Refining an itinerary, procuring the right equipment, establishing a nominal roll, while maintaining our primary aim of training Phase One soldiers and honing people’s skiing ability takes time. We began the expedition in Rjukan, a town in the county of Telemark. Telemark itself is notable for being the birthplace of the genre of skiing but also as the location for the famous Heroes of Telemark story from World War Two. The Norwegian heavy water sabotage was a series of operations undertaken by Norwegian saboteurs to prevent the German nuclear weapon project from acquiring heavy water. After a brief history lesson and viewing of the classic film, we felt ready to head north. 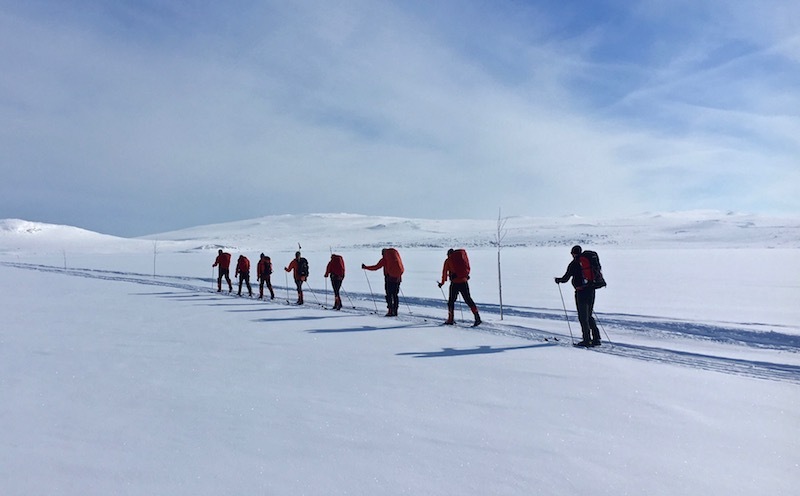 For the first four days we followed the Heroes of Telemark route in the Hardangervidda staying in both manned and unmanned Norwegian Trekking Association (DNT) huts. This wonderful system, unique to Norway, relies on membership and trust to support people to explore the natural beauty of the country by enabling their sustained living in that environment. For us it was co-operative and intimate living, sometimes all 13 of us like cramped sardines, awaiting sunrise to escape into the freedom of the snowy landscape. Hardangervidda felt like a wilderness sometimes. A place where serenity and tranquillity can be matched by bitter winds and whiteouts. A place where an unprepared amateur can be met by a hostile and battle-hardened foe with only one victor. 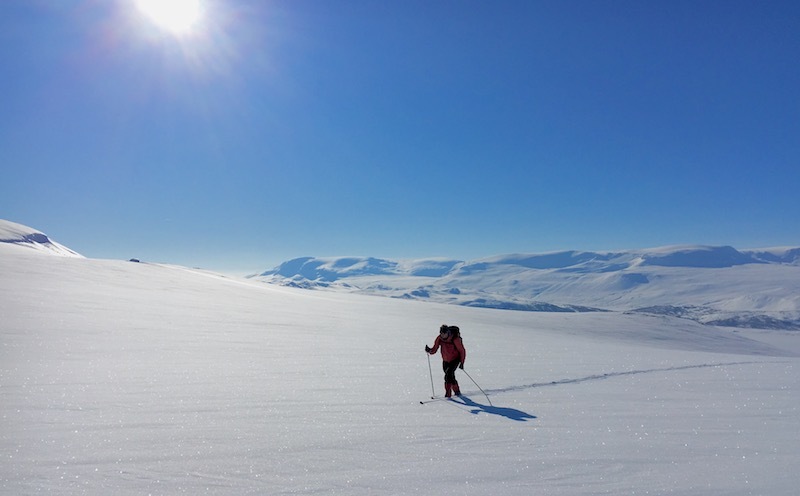 A few of the team talked of conquering the Hardangervidda. Humans can’t conquer nature. We merely challenge ourselves in the midst of its beauty hoping that our resilience, teamwork and adaptability are sufficient to both survive and embrace what it throws at us. Maps galore were spread across the tables under candlelight each evening to judge the elevation and route profile of the following day before evaluating our most efficient path. We were constantly tinkering with the itinerary and managing the mental arithmetic of time, distance, speed to successfully deliver the aims of the expedition. Six days on the bounce totalling over 30 hours of skiing was physically and mentally demanding. Our distances increased as people’s competency improved. A positive weather change assisted but the terrain became more undulating and untrodden with each new day. The established early routes were gone and every morning brought about stunning new surroundings and experiences. We had to remain flexible in our planning and cohesive to ensure all team members successfully navigated the long stretches and often inconsistent descents. 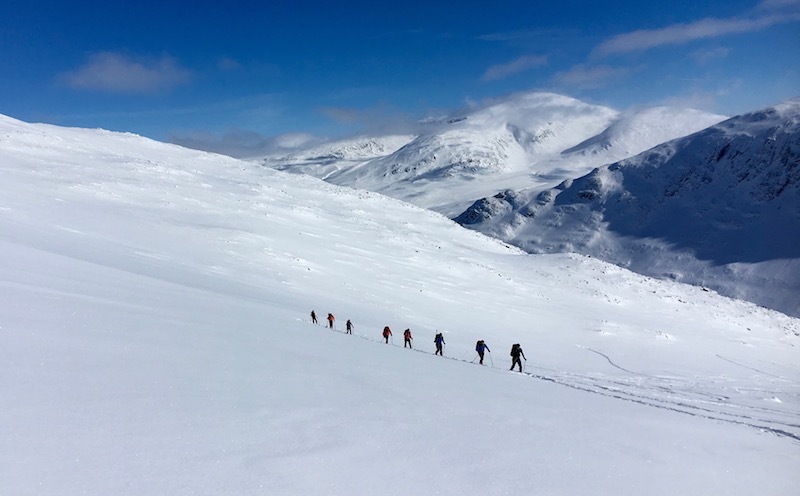 Finally, a much-welcomed rest day ensued as we drove up to the Jotunheimen mountain range to attempt to ski up and down Galdhøpiggen, the highest mountain in Norway and Northern Europe. To our relief, the weather transmuted to clear blue skies and all day sunshine, albeit with a numbing -18°C base temperature. We were told at the DNT hut that we were the first team planning on skiing up Galdhøpiggen that season – both daunting and exciting. A brisk morning welcomed us as we zig-zagged our way up the lower slopes slowly gaining altitude, climbing ever closer to escape the chilly valley floor which remained in the shadows. Our anticipated ascent time went out the window due to the deep snow but onwards we went, hoping to actually see our objective beyond the false summits. Rocky outcrops meant we had to remove skis, attach them to the side of our rucksacks and head up on foot. There were a few brief meetings to discuss the option of turning around to ensure our safe descent. Summit fever, ably assisted by the pristine weather conditions and a strong team, meant we continued on up and the decision was fully justified. As we kicked in steps up the steep upper slopes, we reached the 2,469m summit of Galdhøpiggen in mid-afternoon and one could have been easily persuaded we were in the Himalayas. Majestic snowy peaks spiked up around us as the sun bore down amidst the clear sky. A bracing wind and tough descent meant our time on the top was unfortunately cut short. The skis came off the rucksacks, skins were removed and a new test lay ahead, skiing down the mountain. Thankfully all the team successfully gathered together again at Spiterstulen after making their eventful way down and we could celebrate a thoroughly successful excursion in a stunning environment.